Hever Hotel boasts classic contemporary rooms, a cosy bar lounge area and a restaurant with rustic beams and a warm atmosphere. It is situated in the beautiful village of Hever, just minutes walk from the historic Hever Castle. Enjoy a relaxing break in the countryside of Kent, staying in a Classic Room with Half Board dining included! 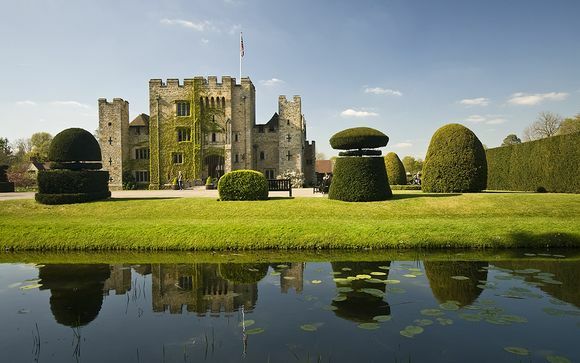 Your hotel is a 5 minute drive away from Hever Castle. Hever Castle & Gardens is the perfect setting for a day out whether alone, with friends or family. For history lovers this castle in Kent is a great place to learn not just about the Tudors, but also about the Astor family, who were the owners of Hever Castle for 80 years from 1903 and were responsible for most of what you see today. Spend hours admiring not only the lovely interiors and historic elements but also the stunning grounds with statues and a variety of ornamental gardens, making it an ideal day out for horticultural lovers. Although the hotel is close to Hever castle it is a 20 minute walk and we would not recommend walking along the roads as they are so narrow and windy – the hotel does however offer complimentary bike hire to its guests with Hi Vis jackets and safety helmets. On arrival, you will be met by the attentive team who will look after your every requirement. Whether it’s just relaxing in one of the many bars and lounges or if you fancy something a spot more strenuous then why not try out the fitness club with saunas, gym, tennis court and table tennis tables. When it comes to food they definitely have that covered with a team of excellent chefs an extensive wine list and menus using the best of the local ingredients. An upmarket 28-room b&b set in the Tudor-style Edwardian wings of Hever Castle, Anne Boleyn's childhood home. With plush bedrooms, slap-up breakfasts and out-of-hours access to the grounds, it offers a rare opportunity to feel like the lord of the manor. 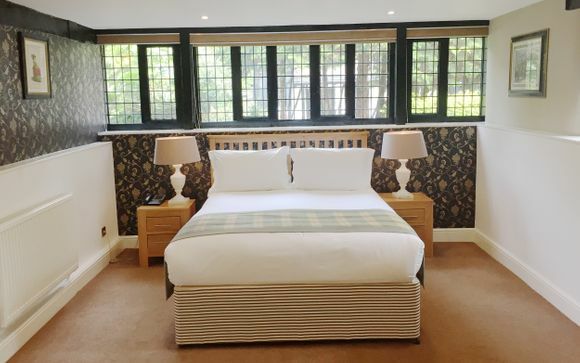 These classic bedrooms offer a fantastically equipped room with a large interactive television, extra comfy bed and shower room. All bedrooms have beautiful views overlooking the hotel grounds or the picturesque courtyards. This offer is based on a Half Board stay (Breakfast and a 2-course evening meal served in main restaurant - excludes drinks). 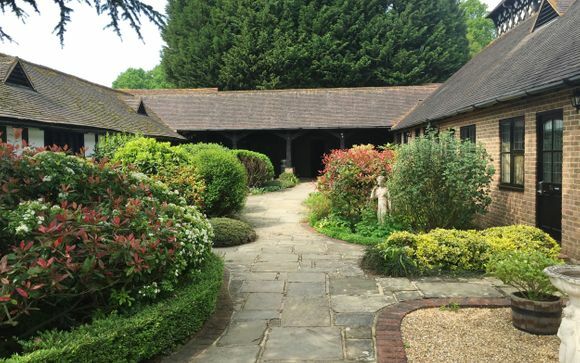 With its rustic beams and warm atmosphere, Stables offers the perfect location whether it be for a romantic meal, large party or a celebration. 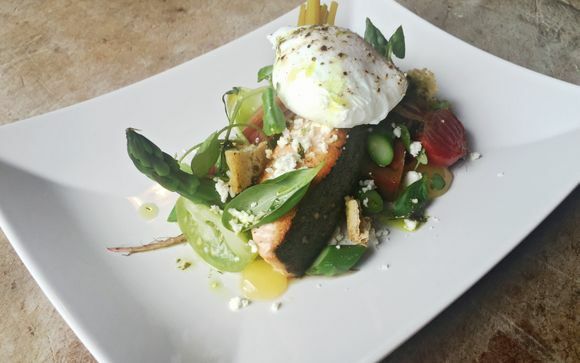 The chefs use top quality local produce to create wonderful dishes for you to savour. The bar specialises in local and British products mixed in with some of the more well-known brands, with local beers from only 10 minutes away. If you like local produce but are not sure which drink is for you then ask one of the bartenders, who'll be able to introduce you to something which suits your tastes. 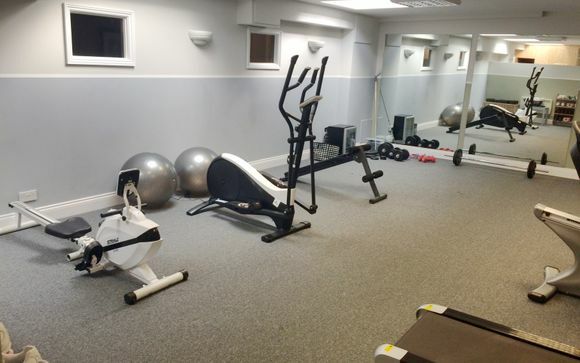 Fitness room, equipped with a running machine, cross-trainer, bike, sit down bike, rowing machine, female and male sauna and shower facilities. A tennis court is available for you to use at all times of the day, light permitting. Racquets and balls are available subject to availability.